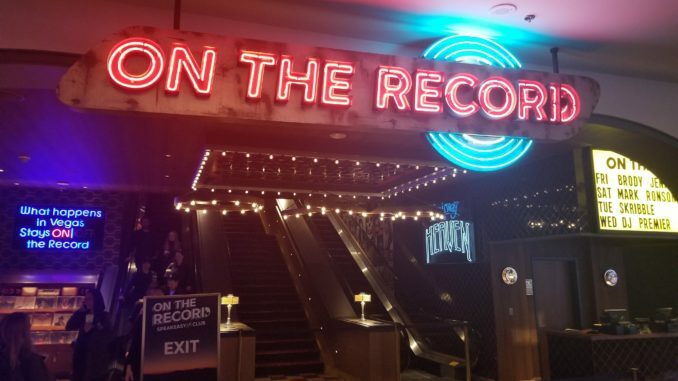 On The Record nightclub in Park MGM Las Vegas's new East Side area. 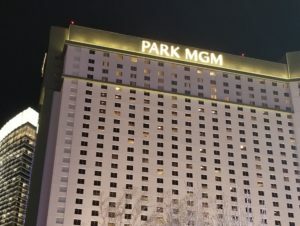 The new Park MGM in Las Vegas. Taking a rideshare to the Las Vegas airport almost exactly one year ago, I notice the sign atop the Monte Carlo Hotel & Casino being taken down. 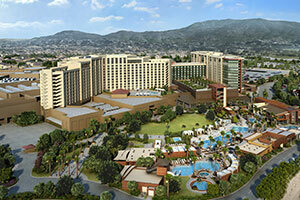 Back in town six months later, the Monte Carlo has metamorphosized from a caterpillar to a butterfly now called Park MGM. 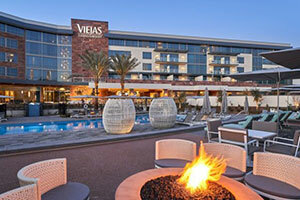 My stay there during the 2018 “soft opening” is marked by elevated offerings and amenities. I do lobby self-check-in, eat a rib-sticking breakfast in Primrose and am wowed by the gilded splendor of Bavette’s Steakhouse & Bar. Due diligence done. 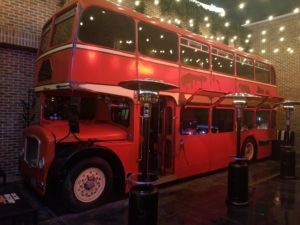 Then…I hear about the second phase of new cool stuff opening at Park MGM. Following the grand opening, I’m back again to explore the hotel-casino’s new “East Side” expansion—with lunch at Eataly, dinner at Best Friend by Roy Choi and late-night cocktails inside On The Record. 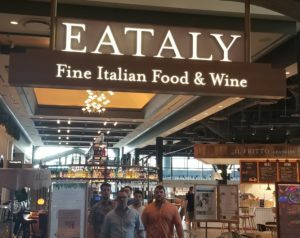 Food halls are still a rising trend in the United States—but Eataly in the Park MGM is a 40,000-square-foot food-hall-meets-Farmer’s-Market-meets-foodie-amusement-park. 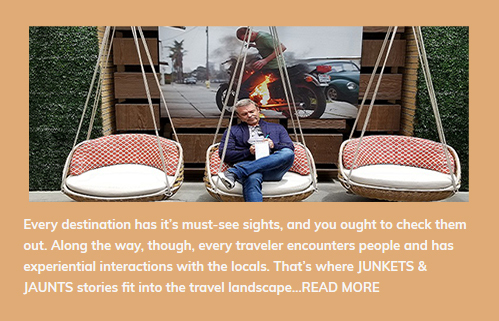 The concept got it’s start in Torino, Italy; there are now 37 iterations around the world, including six in the U.S.
Each restaurant, countertop, bar or food stand is an Italian specialty outlet. Gaze upon the meats and sausages at La Salumeria, get enticed by wines and spirits at Gran Caffe Milano, or drool over the dessert offerings at the stands that specialize in Cannoli, Nutella and Gelato. You can pick and choose what you want to eat and find an open seat at tables spread out across the complex. 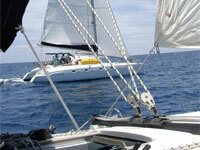 Or, choose from one of two sit-down eateries, dinner-centric Manzo or lunch/dinner focused La Pizza e La Pasta. 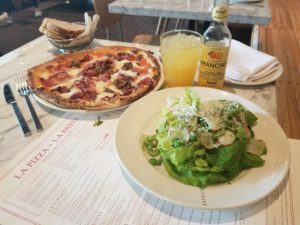 A salad and pizza pairing at La Pizza e La Pasta. At the latter, I sit down for a mouth-watering salad and pizza pairing. The butter lettuce salad infused with stracciatella cheese doesn’t last long. The pizza of the day is a thin-crust meat lover’s special—two kids of prosciutto, Julien salami and sweet sausage. I leave Eataly with a full tummy and half a pizza in a to-go bag—a snack that keeps on giving later that night (unlike my blackjack dealer). Best Friend by Roy Choi. The entrance area throws me off. 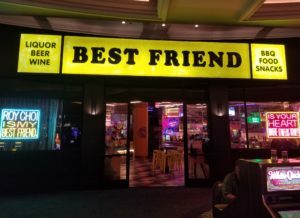 Best Friend appears to be a bar decorated like a seedy bodega that’s stocked with high-calorie munchies. Some of the snacks are for sale; most are just on display. Turns out the Kwik-E-Mart façade fronts a 9,000-square-foot restaurant space. This concept is referred to as a “reverse speakeasy” entrance (comparable to the pawn shop exterior that hides the elegant Beauty & Essex restaurant over at The Cosmopolitan). 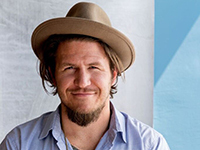 Best Friend is celebrity chef Roy Choi’s Las Vegas take on the Los Angeles Koreatown food truck scene. There are no actual food tucks in the restaurant, which has a casual-cool vibe, hanging greenery and nighttime photos of downtown L.A. 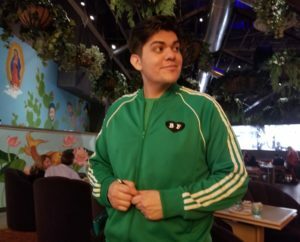 The waitstaff wear cool tracksuits at Best Friend. The menu—which is designed to look like a yearbook—is chock full of amazing choices. It takes me 10 minutes to narrow my picks to: spicy cold noodles (served with a halved egg with runny yolks, and a hearty pair of pork strips); spicy braised and charred octopus accompanied by onions, squash and sesame seeds; and a sumptuous “slippery shrimp”—crispy rock shrimp covered by a chili mayonnaise and walnuts. I’ll come back again for the lobster kung-pao (served in the shell and seasoned with chilis and peanuts). Whether or not I ever order the hundred dolla tostada, with kaluga caviar ($99), remains to be seen. On The Record’s double-decker bus. Keep in mind that Eataly, Best Friend and On The Record are all proximal to each other—along with the hotel’s new Park Theater, which is alternating as the Las Vegas home base to Lady Gaga and Cher. 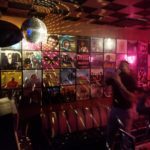 On The Record is a two-story night club that looks like a vinyl record store on the first floor; then the needle skips wildly when you go up the escalator into the phantasmagoric, 11,000-square-foot nightclub fashioned by L.A.-based Houston Hospitality. In no particular order of amazement, there is: a DJ booth built out of the front end of an actual Rolls-Royce (the car’s back seat rests across the way in the front bar); fireplace-equipped VIP areas; disco-ball-lighted karaoke rooms; floor-to-ceiling walls made out of cassette tapes; a speakeasy decorated with classic vinyl records and manned by rotating celebrity mixologists; and an open-air area half-filled by a red, full-sized double-decker bus (which had to be maneuvered in by crane). On The Record karaoke room. Method Man is the guest DJ the night I tour the place in wide-eyed wonder. I’m told Billy Idol, Flea and Chris Rock have partied here. Word also has it that actresses Kate Beckinsale and Rumer Willis came to do karaoke, as did rock band Muse after they’d finished a show one night at Mandalay Bay.